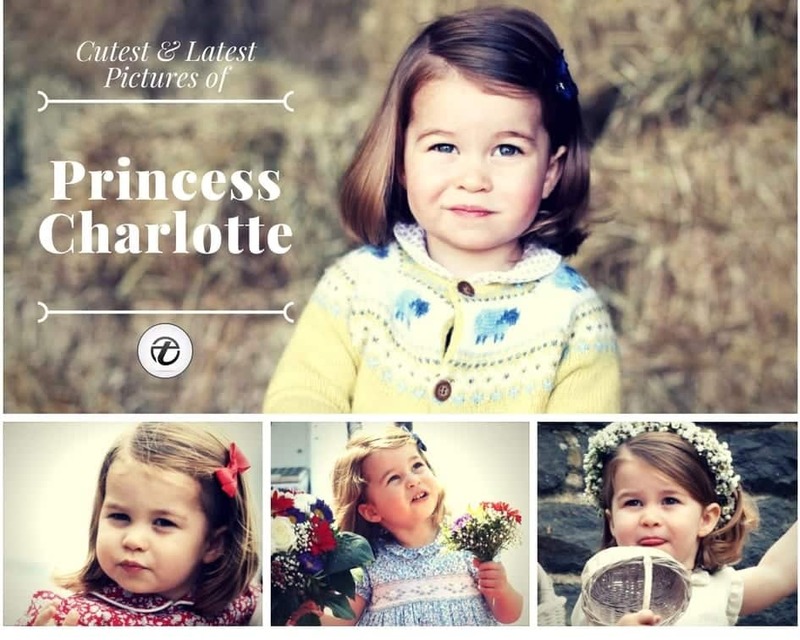 Cutest Pictures of Princess Charlotte . Apparently the 1-year old does not know that the future of her country is resting on her shoulders and it will become what she will allow. She is the youngest child of Prince William – Duke of Cambridge and Kate Middleton – Duchess of Cambridge and has a single sibling – the young Prince George. She is related to Prince William and James William Middleton and other important members of the Royal families. So here are about 50 latest and happy pictures of Princess Charlotte that you might have missed on this year around. So have a look and enjoy! Ever since her birth, people have been amazed by the resemblance that princess Charlotte has with queen Elizabeth. She literally has the same eyes, the same eyebrows and features and lately even the same hairstyles. You should also see these Omar Borkan’s 100 Latest, Hottest and Most Stylish Pictures. Here’s a famous portrait from Princess Charlotte’s second birthday that went viral. There were a number of mean and hate-filled comments on the pictures related to her outfit or hair but her fans were not taking any such hatred and immediately shut down all the trolls. This video will surely melt your heart. The princess’s latest visit to Poland was filled with a number of cute and fun moments but the one everyone fell in love with was of the time she gave a cute little curtesy to the officials who were present to see her off. While no one really noticed her tiny and gently curtesy at the time, the media obviously couldn’t miss it out and within some time the whole world was smiling over her diplomatic etiquettes. She looked perfectly adorable on the recent royal tour of Germany and Poland, here’s a sneak peek from her short stay in Berlin. Both the mother and daughter have pink as their favorite color and rightly so because it looks great on them. Here are some pictures of the princess from her aunt, Pippa Middleton wedding back in May 2017. Have a look at 100 Best Pictures and Videos of Harper Beckham. Here we see the princess being honored as the 7th royal baby to have worn the Honiton lace robe for her christening. The picture is from back in 2008 when she was just around teo months old. Don’t miss out these 30 Hottest Pictures of Zayn Malik so far. The pink color has always looked beautiful on her. Looks like both the baby and the father share their love for snow. All images have been taken from Pinterest.